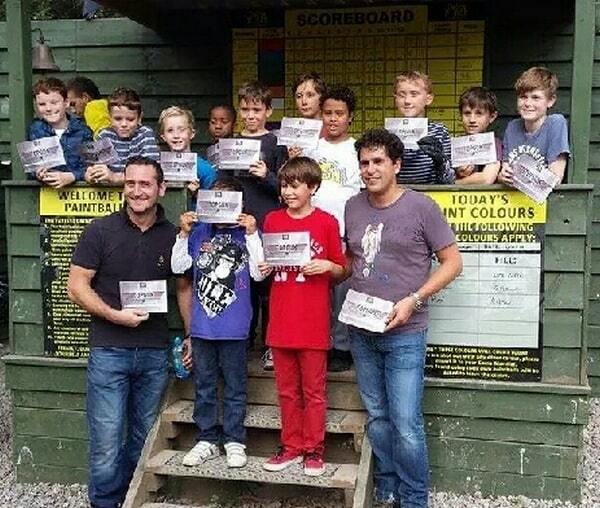 Will Mellor, the popular British TV actor, tried his hand at mini-paintballing over the weekend as he took to the battlefield when he attended Delta Force Paintball in Hemel Hempstead alongside his son Jayden for his 10th birthday party. Will’s group had arranged a private mini-paintball event for the group of 8-10 year olds, and staff at the North West London Paintball Centre were on hand to provide advice as Will and his band of recruits spent the afternoon dodging bullets and dressed from top to toe in camouflage gear and armed with low-impact mini-paintball guns. Will has made a name for himself by featuring regularly on our TV screens since 1995 in various British soaps and comedy shows including Hollyoaks and White Van Man, but on Saturday he was tasked with helping his son Jayden survive a barrage of paintballs as they came under fire from the opposing team of mini-paintballers in the battle to secure the highly-sought after Top Gun award. 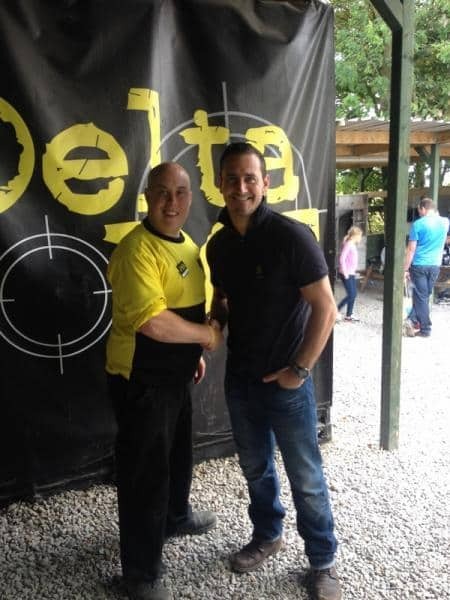 The Hemel Hempstead Paintball Centre has seen its fair share of TV celebrity visitors in the past, with stars from EastEnders and The Only Way Is Essex choosing Delta Force for their day of paintball. Delta Force Paintball North West London has invested heavily in developing movie-set quality game zones to ensure players of all ages can get stuck in and immerse themselves in non-stop action! On Saturday, Will and his group commented on how much they enjoyed the games on the day and vowed to return again. The team at Delta Force would like to thank Will and his team for their praises and look forward to hosting another paintball party in the future. To book your day of paintball at the North West London Paintball Centre, be it for a celebrity paintball event or a junior paintball party, contact a member of our friendly booking team on 0203 869 9301and we’ll help book an adventure to remember!